We'll have this one on repeat forever and ever (and ever). Tuck Everlasting, starring Andrew Keenan-Bolger and newcomer Sarah Charles Lewis, is set to release a Broadway cast recording. The DMI Soundtracks album will be available digitally on June 10 and in stores on July 1. 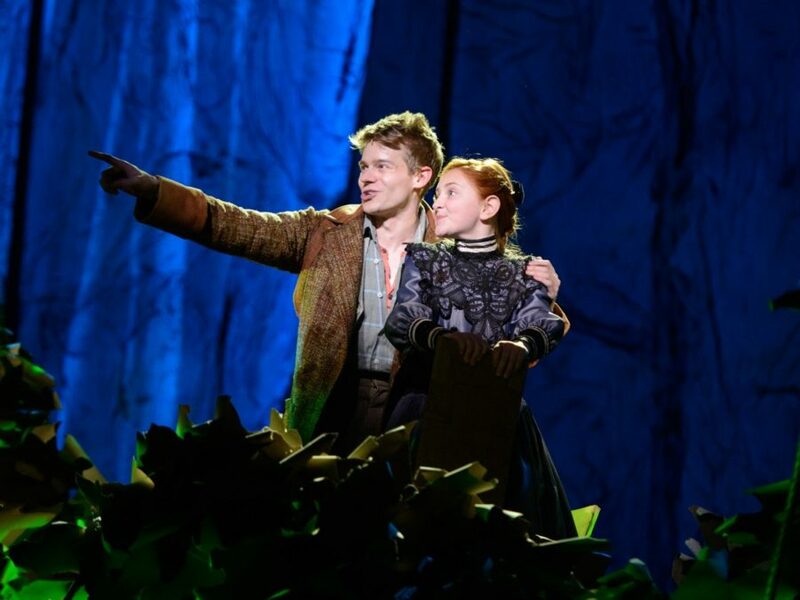 Helmed by Tony winner Casey Nicholaw and featuring a score by Nathan Tyson and Chris Miller, Tuck Everlasting began performances on March 31 and will officially open on April 26 at the Broadhurst Theatre. The story follows a young girl and her friendship with Jesse Tuck and his family, who become immortal after drinking from a magical spring. Based on the 1975 children’s novel by Natalie Babbitt, the story has twice been adapted for the screen. Fans of the enchanting musical already got a taste of Lewis, who plays Winnie Foster, in the number "Everlasting," as well as Tony nominee Carolee Carmello's emotional "My Most Beautiful Day" as Mae Tuck, the matriarch of the ageless clan. In addition to Keenan-Bolger, Lewis and Carmello, the Broadway cast of Tuck Everlasting also features Tony nominee Terrence Mann, Michael Park, Robert Lenzi, Fred Applegate, Valerie Wright, Pippa Pearthree and Michael Wartella.